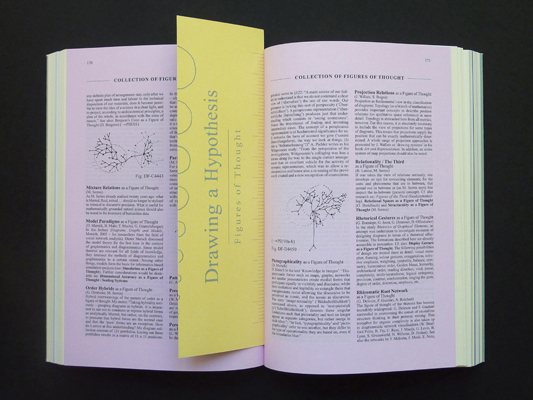 Drawing a Hypothesis is an exciting reader on the ontology of forms of visualisation and on the development of the diagrammatic perspective and its use in contemporary art, science and theory. 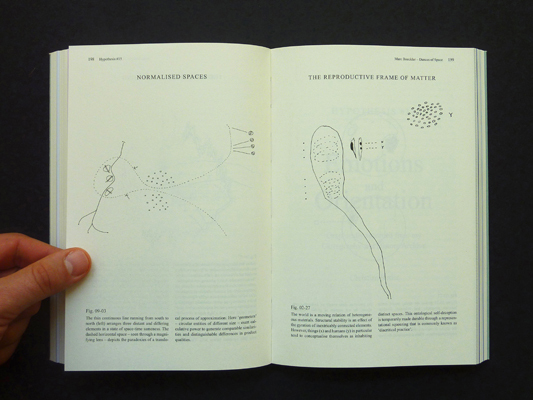 In an intense process of exchange with artists and scientists, Nikolaus Gansterer reveals drawing figures as a media of research which enables the emergence of new narratives and ideas by tracing the speculative potential of diagrams. 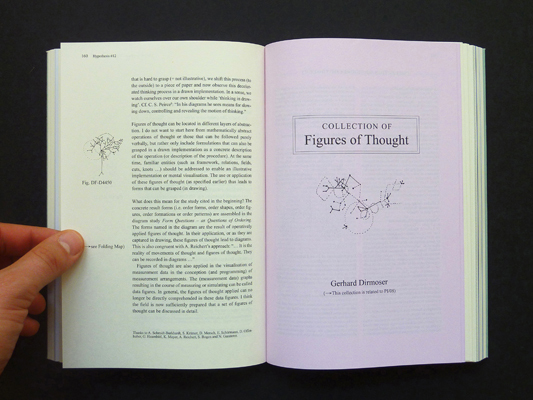 Based on a discursive analysis of found figures with the artist’s own diagrammatic maps and models, the invited authors create unique correlations between thinking and drawing. 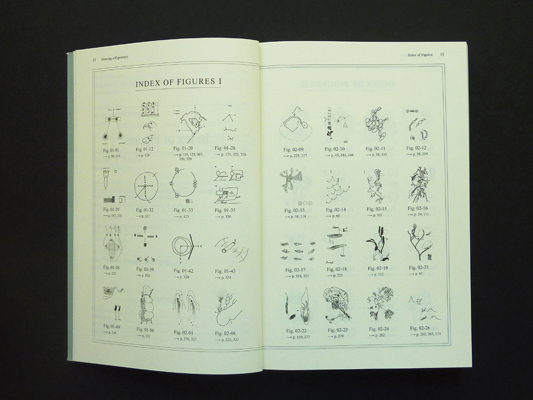 The book is a rich compendium of figures of thought, which moves from scientific representation through artistic interpretation and vice versa. 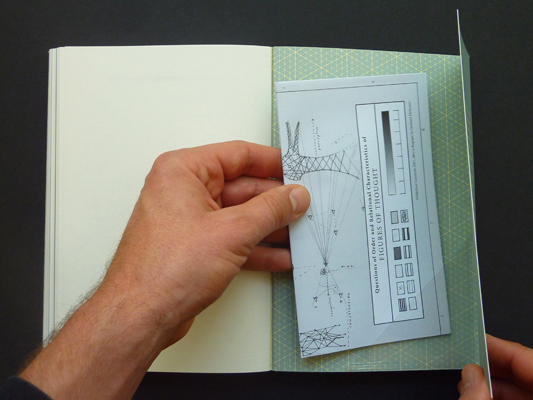 "The idea for this book originated during a two-year research project at the Jan van Eyck Academie in the Netherlands. 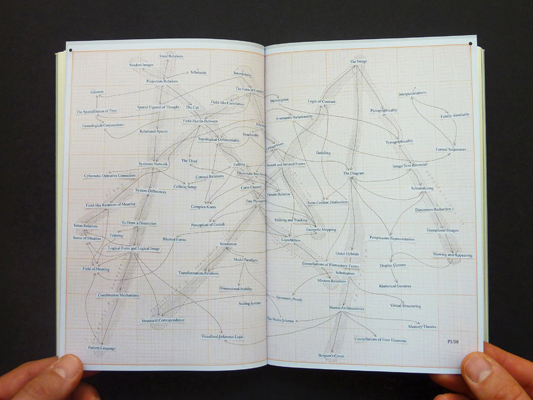 My longheld fascination for diagrams, maps, networks and the graphical forms of visualising complex associations prompted me to approach the field from an artistic point of view. How could this visual artefacts be comprehended? 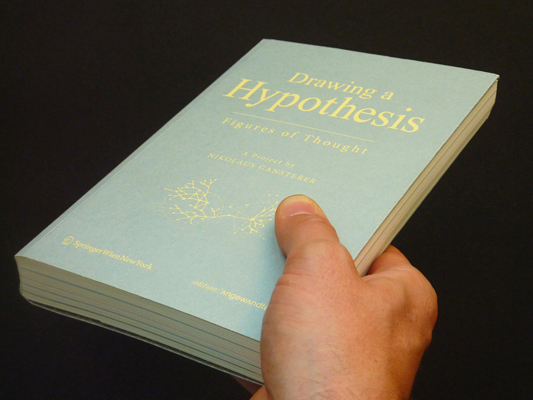 This book has arisen from a five-year exchange with theoreticians, scientists and artists on the question of the hypothetical potential of diagrams. 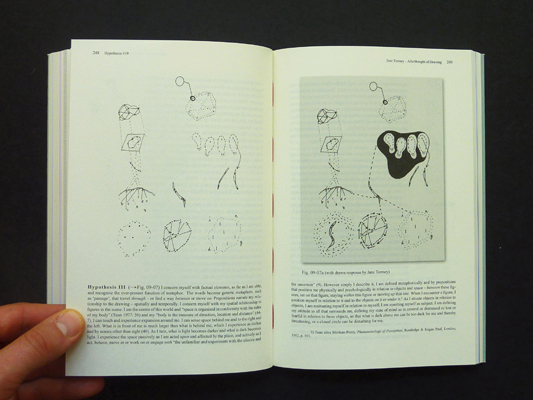 Here I sent my drawings to various interpreters with a request for a written interpretation (micrology), so that in turn I could react to their texts with diagrammatic drawings and models." "The process worked until the potential for action was exhausted. Through this intensive exchange of thoughts, the most varying ideas, hypotheses, theses and interrelations developed, eventually achieving the form of captions, (sci-fi)stories, and longer essays on the themes of figure, drawing, hypothesis and diagram. 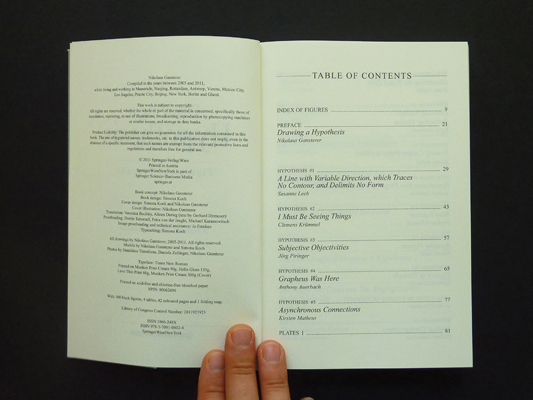 The resulting contributions are of very different kinds, reflecting their authors’ particular fields of knowledge in the fractious borderland between art, science and fiction. 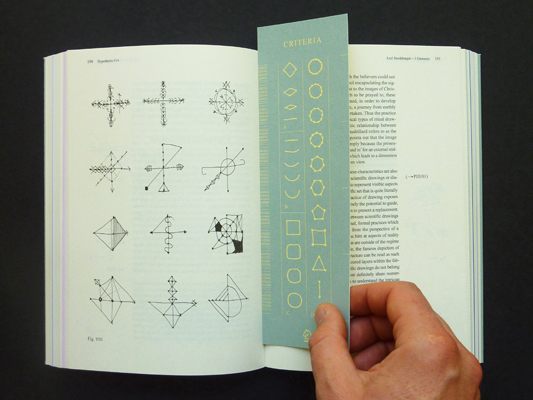 The design of the book was developed by Simona Koch reflecting the language of classical scientific formats of publications and enquiring how a specific appearance influences the perception of the content itself." 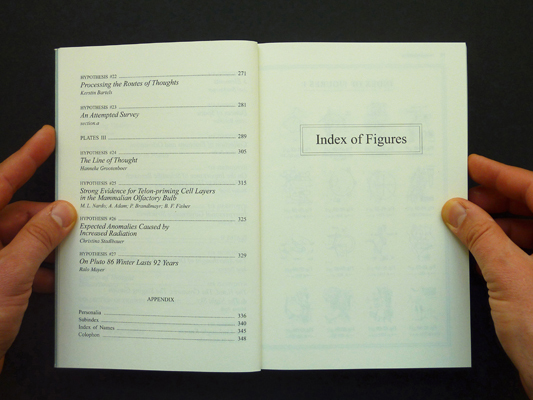 Index of Figures. 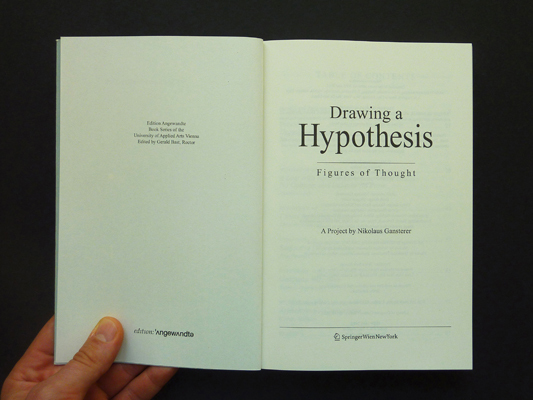 - Drawing a Hypothesis (Preface), Nikolaus Gansterer. 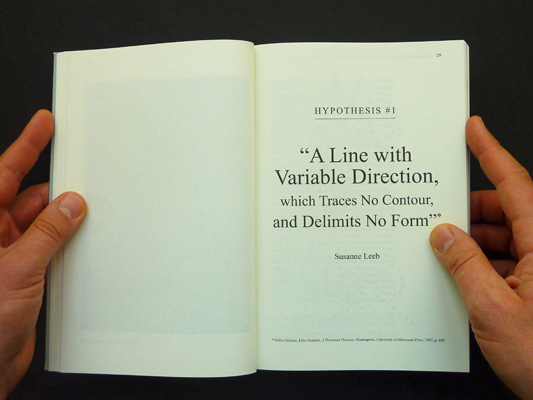 - A Line with Variable Direction, which Traces No Contour, and Delimits No Form, Susanne Leeb. - I Must Be Seeing Things, Clemens Krümmel. 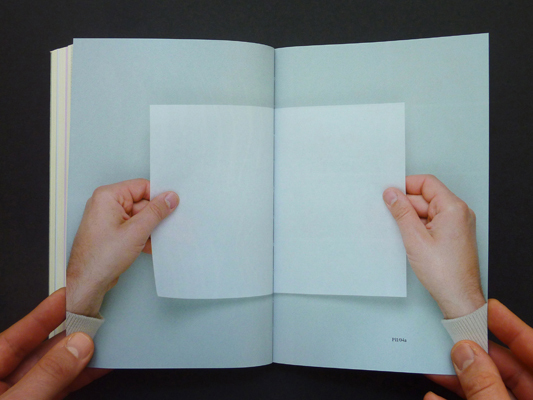 - Subjective Objectivities, Jörg Piringer. - Grapheus Was Here, Anthony Auerbach. - Asynchronous Connections, Kirsten Matheus. - Distancing the If and Then, Emma Cocker. 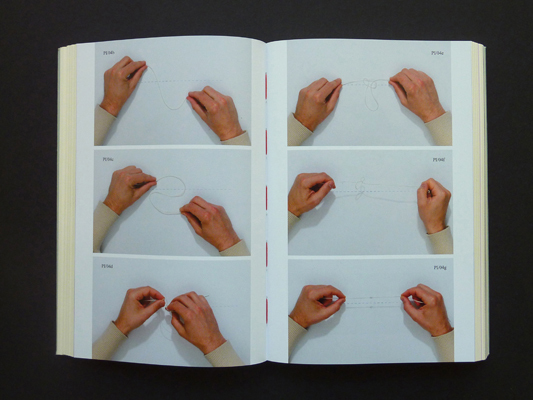 - Drawing Interest / Recording Vitality, Karin Harrasser. - Nonself Compatibility in Plants, Monika Bakke. 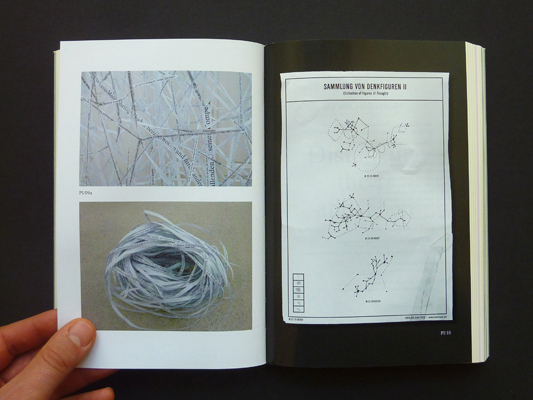 - Hypotheses non Fingo or When Symbols Fail, Andreas Schinner, - Wiry Fantasy, Ferdinand Schmatz. - Reading Figures, Helmut Leder. - Collection of Figures of Thoughts, Gerhard Dirmoser. 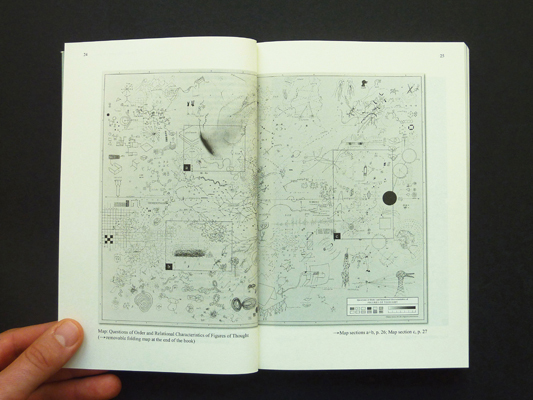 - Radical Cartographies, Philippe Rekacewicz. - 3 Elements, Axel Stockburger. - Dances of Space, Marc Boeckler. - Collection of Emotions and Orientation, Christian Reder. - On the Importance of Scientific Research in Relation to Humanities, Walter Seidl. - Interpersonal Governance Structures, Katja Mayer. 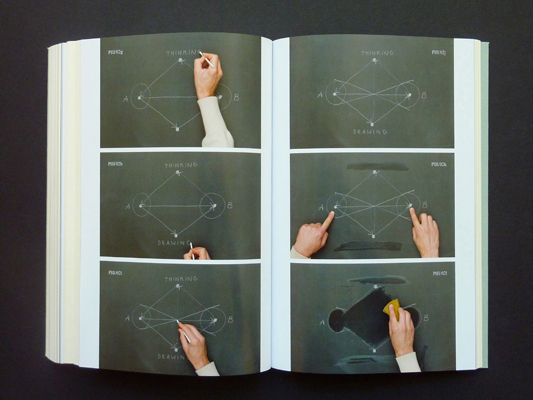 - The Afterthought of Drawing: 6 Hypotheses, Jane Tormey. - The Hand, The Creatures, The Singing Garden & The Night Sky, Moira Roth. - The Unthought Known, Felix de Mendelssohn. - Processing the Routes of Thoughts, Kerstin Bartels. - An Attempted Survey, Section.a. - The Line of Thought, Hanneke Grootenboer. - Strong Evidence for Telon-priming Cell Layers in the Mammalian Olfactory Bulb, M. L. Nardo, A. Adam, P. Brandlmayr, B. F. Fisher. - Expected Anomalies Caused by Increased Radiation, Christina Stadlbauer. - On Pluto 86 Winter Lasts 92 Years, Ralo Mayer. – Appendix: Personalia. Subindex. 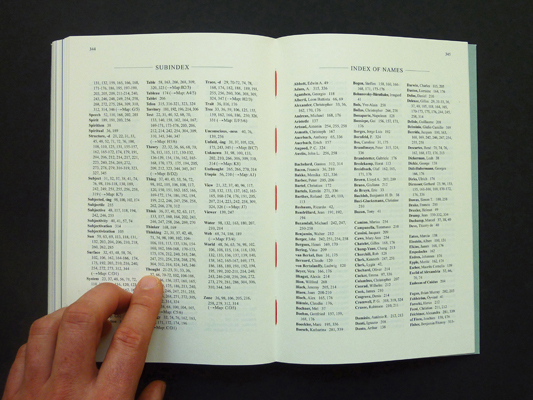 Index of Names. Colophon. Notices. – 22 Sept 2011: MHKA, Antwerp, Belgium. – 27 Oct 2011: KNAW, Amsterdam, The Netherlands. – 18 Nov 2011: Kunsthall, Bergen, Norway. 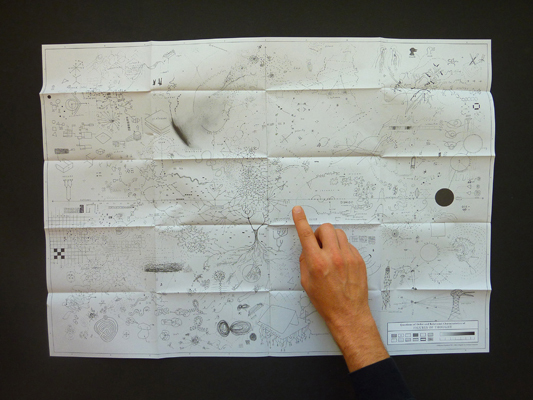 – 23 Nov 2011: Kunsthalle Project Space, Vienna, Austria. – 02 Feb 2012: "Die Materialität der Diagramme", NGBK, Berlin, Germany. 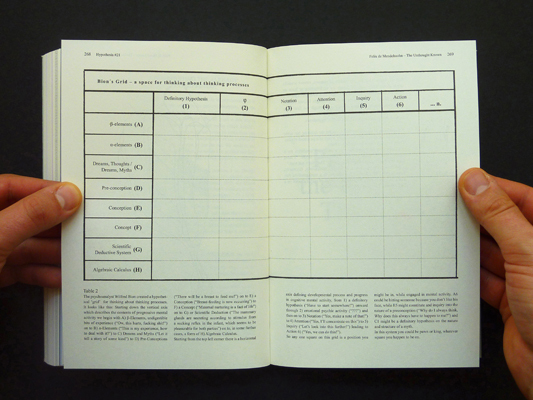 – 03 Feb - 14 March 2012: Archive Books in Berlin, Germany. – 16 March 2012: "Leipzig book fair", Leipzig, Germany. 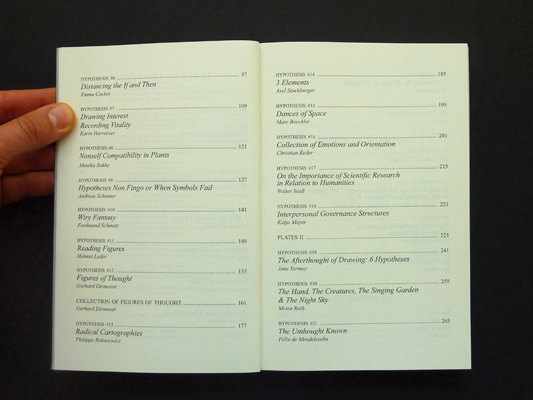 – 13 April - 12 May 2012: "A study on Knowledge", Forum Stadtpark, Graz, Austria. – 20 Sept 2012: Lehrerzimmer, Bern, Switzerland. – 9 Nov 2012 - 27 Jan 2013: "Schaubilder", Kunstverein Bielefeld, Bielefeld, Germany. 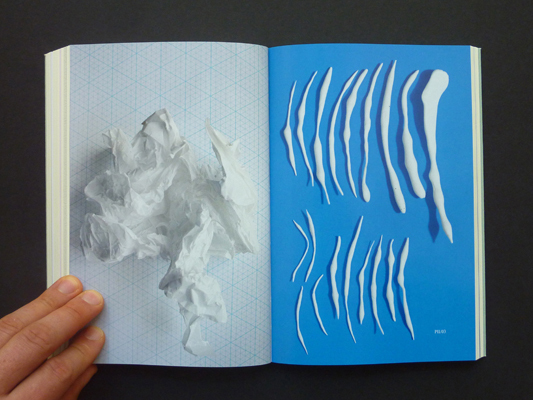 – 23 Nov 2012: Salon fuer Kunstbuch at the Museum "21er Haus", Vienna, Austria. 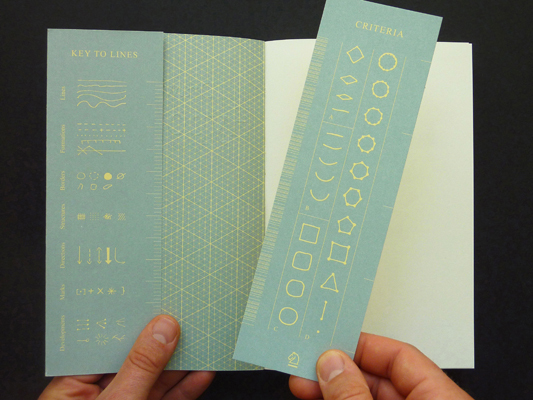 – 17 Nov 2012- 24 Feb, 2013: "World Book Design" exhibition, Printing Museum, Tokyo, Japan. – 20 March 2013: Subnet Talk, at the KunstQuartier, Salzburg, Austria. – Sept - Dec 2013: 4th Athens Biennale, Athens, Greece. – May - Sept 2013: "When Thought becomes Matter...", Kunstraum Niederösterreich, Vienna, Austria. 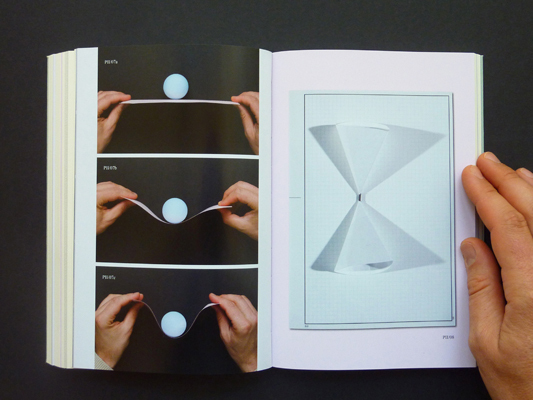 – 2014: "Inventing Temperature", KCC, London, UK. – 2014: "My Brain is in my Inkstand", Cranbrook Museum, Detroit, USA. – 5 May 2017: “Publishing in the context of artistic research - A bookish table talk”; AILab – Angewandte Innovation Lab, Vienna, Austria. The second corrected edition was released in Spring 2017! The publication could be ORDERED HERE! Please download sample pages HERE! 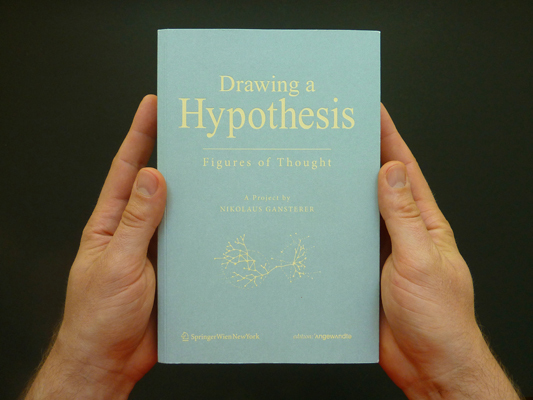 "Drawing a Hypothesis – Figures of Thought", Nikolaus Gansterer (Ed. 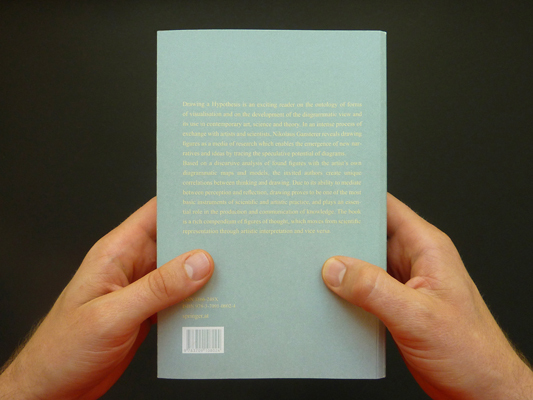 ), De Gruyter Berlin/Boston, Edition Angewandte, 2nd corrected edition, 2017. 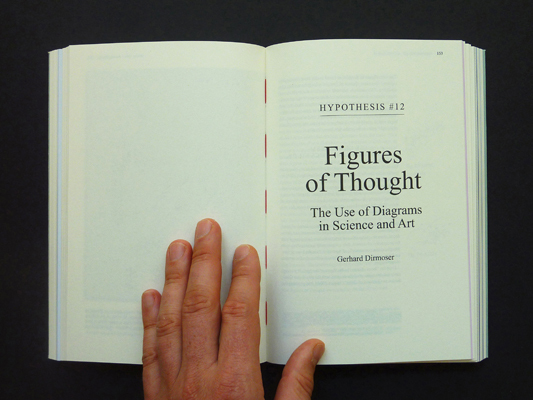 "Drawing a Hypothesis – Figures of Thought", Nikolaus Gansterer (Ed. 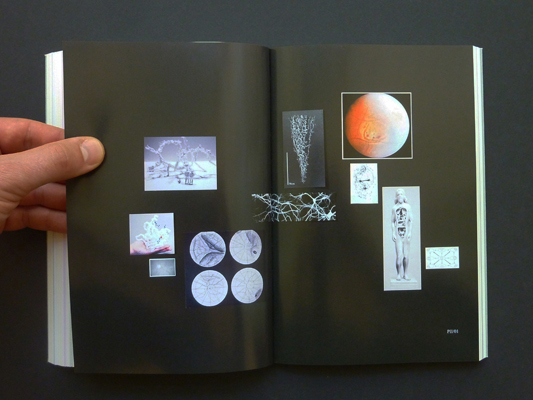 ), Springer Verlag Wien/NewYork, Edition Angewandte, 1st Edition, 2011. All drawings by Nikolaus Gansterer, 2005-2011. Support: The publication was made possible by the generous funding of the Jan van Eyck Academie, Maaastricht, The Netherlands, the University of Applied Arts, Vienna, Austria and the Bm:ukk. 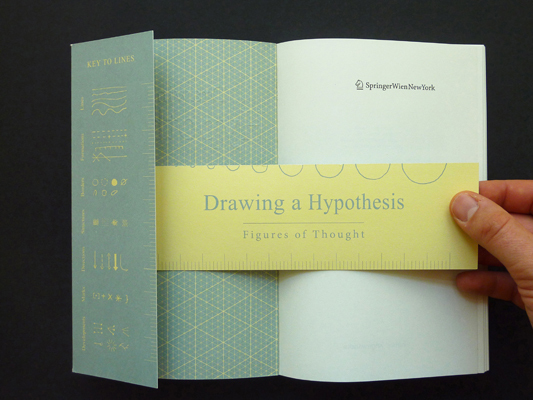 The publication "Drawing a Hypothesis" was honoured to be one of the ten most beautiful books of Austria 2011 and won the bronze medal at the annual book design competition “Best Books from all over the World”. The ceremony took place on the 16th of March 2012 at the Leipzig book fair in Germany. – "The Hand & The Creature" (Nikolaus Gansterer & Moira Roth), by guest editor Maria Fusco, in: "Discipline art journal / Issue 2, Autumn, 2012, Nick Croggon and Helen Hughes (Eds. ), Melbourne.